Please fill in the form below with a few details so that we can begin organising your tour of the archaeology of Stonehenge and Avebury. This is your first step on a fascinating journey back to our ancient past. If you have landed on this page you may want to have a look at our home page first by following this link. You can also see suggested itineraries by clicking here and descriptions of recent tours by clicking here. Click on ‘read more’ to learn about what we offer and about Laurence, our guide: read more. We have recently been made aware (September 2018) of some possible issues with the enquiry form so just to be sure that we hear from you please could you also email us at [email protected] or phone us on +44(0)7976 488665 or +44(0)7714 146978. Thank you very much. Avebury and Stonehenge small group tours. 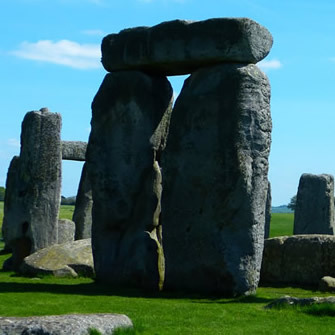 Oldbury Tours organise tailor made tours of the UNESCO World Heritage Site of Avebury and Stonehenge to include any other points of interest in the neighbouring area as discussed in advanced. These are small group tours for up to six people by car or seven to sixteen people by minibus. We will pick you up from your hotel or arrival point within a 35 mile radius of Avebury and return you to your hotel or departure point at the end of the tour. Pick up points include hotels, pubs and train stations in Salisbury, Hungerford, Swindon and Bath. We will also pick up from the towns of Marlborough, Pewsey, Devizes, Calne, Corsham and Chippenham, and the many Wiltshire villages. However do ask if you are staying somewhere not listed here. Transport can also be arranged to meet you from Heathrow, Gatwick, Bristol and other airports. All Avebury and Stonehenge small group tours are bespoke so the form above is for you to give us as much information as you think will help us organise your perfect day. We are keen to show you as many sites as possible in the time allowed. These will include inevitably Avebury and Stonehenge. Both can be visited on a full day tour. We will visit many prehistoric sites during your day but can also include the towns of Salisbury, Marlborough, Bath, Devizes, Bradford on Avon, Corsham and Lacock. We can visit Salisbury Cathedral, Lacock Abbey, Bath Abbey and numerous historic churches dating back to 9th century and the castles of Old Wardour and Farleigh Hungerford. Prices vary according to the size of your group and the length of tour but can be as little as £57 per person. We will book your tickets for Stonehenge in advance. Please let us know if you have an English Heritage or National Trust membership as these will entitle you to free entry to Stonehenge. Overseas visitors might want to look into purchasing overseas visitor passes from English Heritage or the National Trust. You can find details by following these links: National Trust touring pass and English Heritage overseas visitor pass.